my shiny objects: I've failed...well kinda. My cooking challenge went on hiatus as soon as I started feeling nauseous, exhausted (like the kind of exhaustion if a mac truck ran you over), no appetite and basically plain ol' yucky. Yes this all means....I am pregnant. This is my first, so I have no idea how this all works. I am just going with it, day by day. I fee like life stopped for 5-6 weeks. I have a wonderful hubby who took/takes care of me and my every need (even at 3am when I wanted nothing but Cheerios). 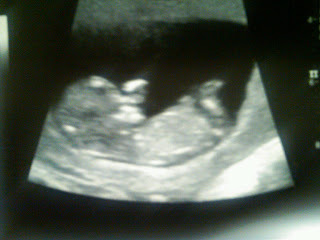 Now at 13 weeks, I am feeling somewhat better and may even try to attempt my cooking challenge again. I make NO promises. But the doc says I need to eat and gain weight. My blogging took a back seat as well. Holiday orders are out and being delivered as I type, so I can breathe again and enjoy this pregnancy! Congrats sweetie! How exciting to hear....yeah you will be tired (take lots of cat (dog) naps)and just enjoy this time. I would try to take a picture a month of your growing belly because once you think you start showing and feel like you are hugely showing is hilarious to look back on when you are 9 months pregnant. I love summer babies! :-) Enjoy this special and magical time because it's just such a fun journey and adventure! !